$ 850 - Encounter outdoor lounge chair. Encounter chair offers a great ride for an affordable price. $ 850 ea. 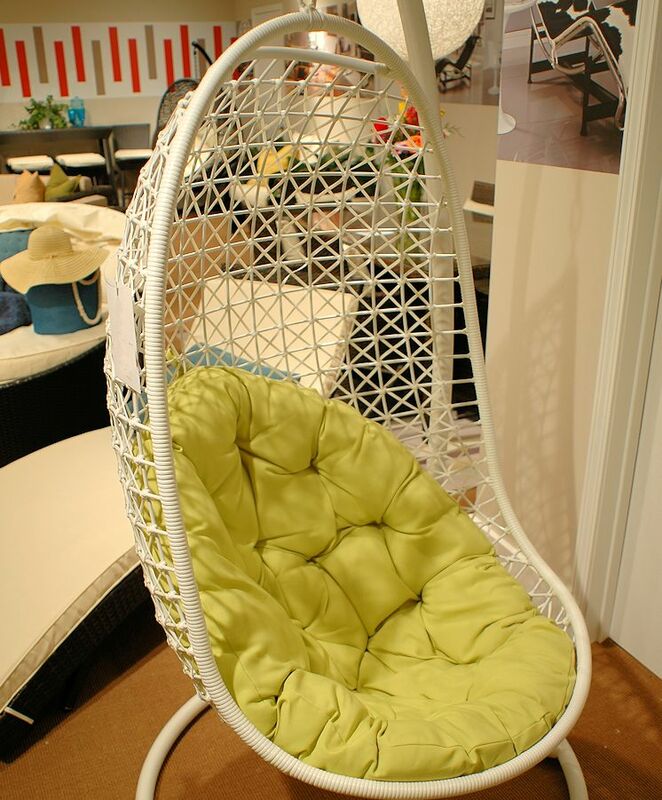 - Encounter swing chairs with a plush fluorescent green cushion and white metal frame. $ 795 - Endow outdoor lounge chair. 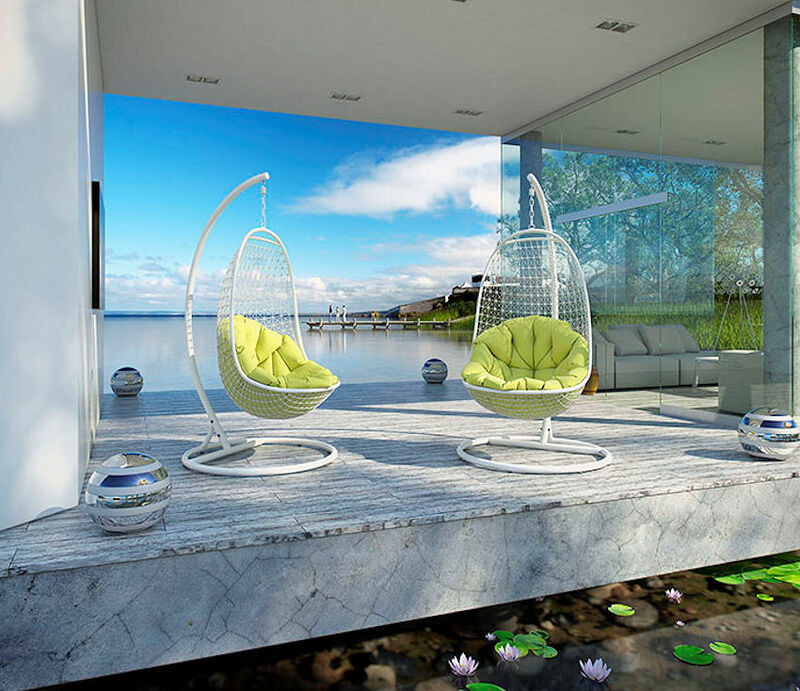 Endow swing chair with a plush water resistant cushion and white metal frame. 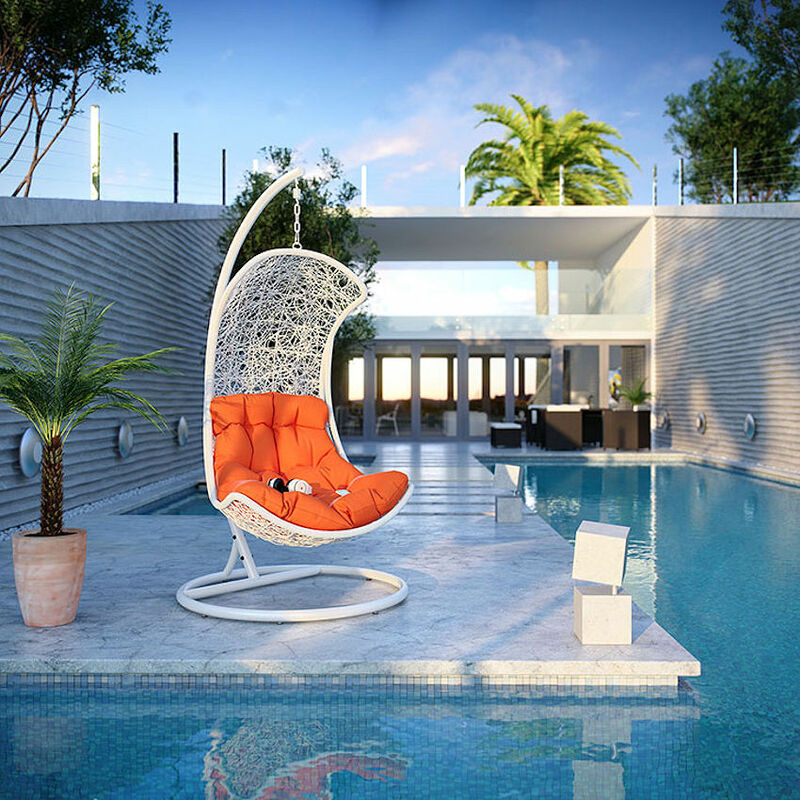 $ 795 - Parlay outdoor lounge chair. 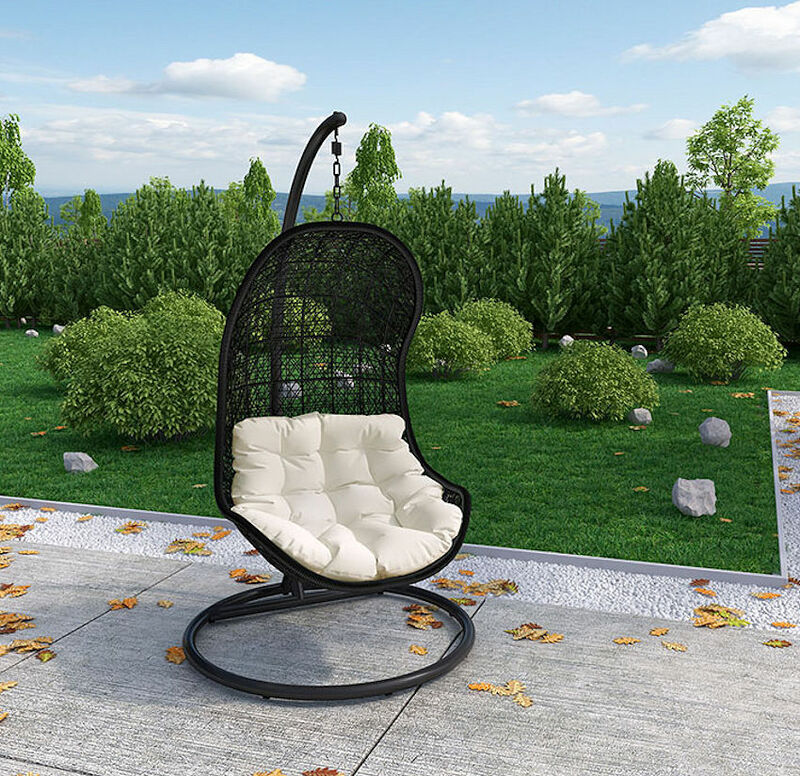 Parlay swing chair with a soft all-weather white cushion and deeply concaved frame in espresso color.